Catherine Hurlin in Giselle. Photo: Rosalie O’Connor. 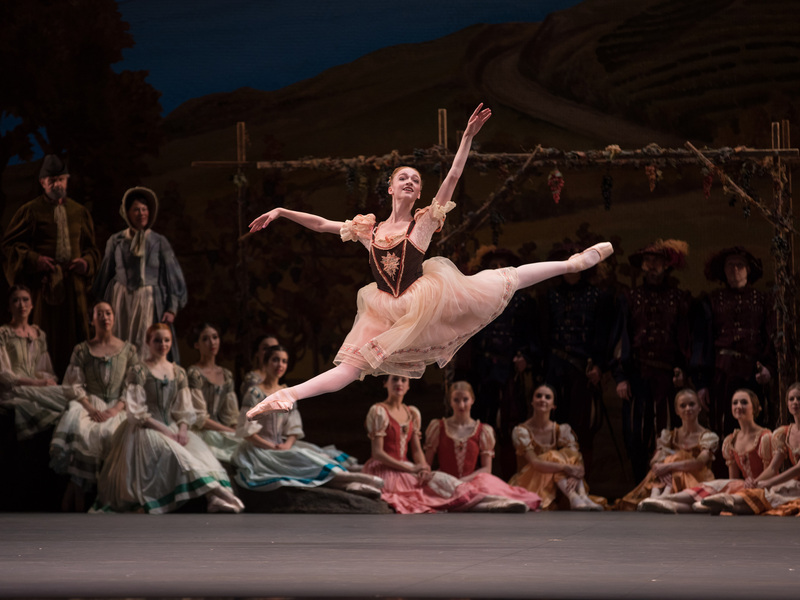 American Ballet Theatre Soloist Catherine Hurlin is the recipient of a 2018 Princess Grace Award (Barbara & John Lehman Dance Award). Hurlin received one of nine fellowships granted in the Dance and Choreography category. The annual Princess Grace Foundation-USA awards were announced in New York City on July 26. Catherine Hurlin was born in New York City and began her dance training at Scarsdale Ballet Studio and Westchester Dance Academy. She won the Hope Award at the Youth America Grand Prix in 2007 and received full scholarships to study at the ABT Jacqueline Kennedy Onassis School and ABT Summer Intensive. Hurlin performed the role of Clara in the Radio City Christmas Spectacular for three years. She joined the ABT Studio Company in 2012, became an apprentice with the main company in 2013 and a member of ABT’s corps de ballet in 2014. She was promoted to Soloist in June 2018. Her repertoire with the Company includes Lead D’Jampé and a Shades soloist in La Bayadère, an Odalisque in Le Corsaire, a Flower Girl in Don Quixote, the peasant pas de deux in Giselle, a Harlot in Romeo and Juliet,the pas de trois and a big Swan in Swan Lake, the Maiden in Firebirdand roles in AfterEffect, AFTERITE, The Brahms-Haydn Variations, Company B, Her Notes, I Feel The Earth Move, Songs of Bukovina andThirteen Diversions. She created Mademoiselle Marianne Chartreuse in Whipped Cream and a role in Mark Morris’ After You. The Princess Grace Foundation-USA, a public charity, was formed after the death of Princess Grace in 1982. The Foundation awards scholarships, apprenticeships and fellowships to emerging theater, dance and film artists to assist with career development. The 2018 winners will receive their awards at the annual black-tie Princess Grace Awards Gala, in the presence of HSH The Princess of Monaco, on October 16, 2018 in New York City.